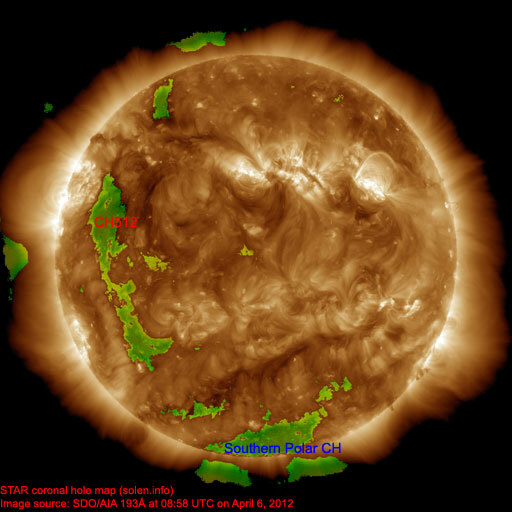 Last major update issued on April 8, 2012 at 02:25 UTC. 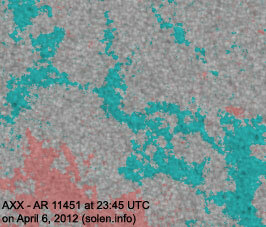 The geomagnetic field was quiet to active on April 7. 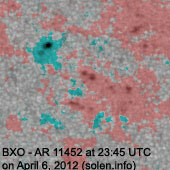 Solar wind speed at SOHO ranged between 310 and 353 km/s. 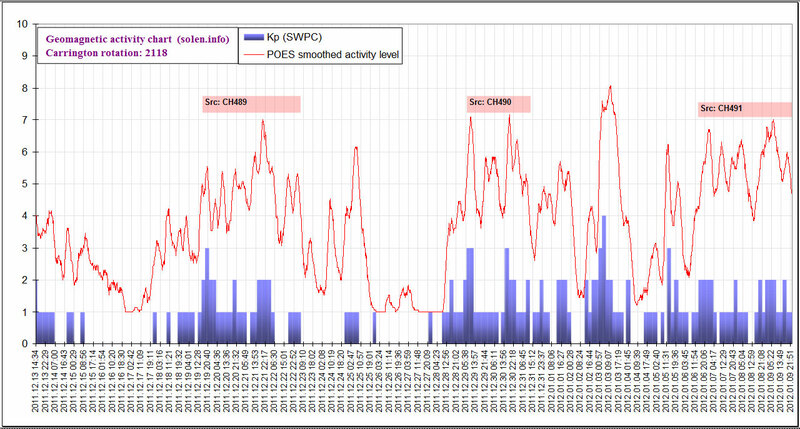 Solar flux measured at 17h UTC on 2.8 GHz was 95.7 (decreasing 35.5 over the last solar rotation, the measurement at 20h UTC was slightly enhanced due to a long duration event). 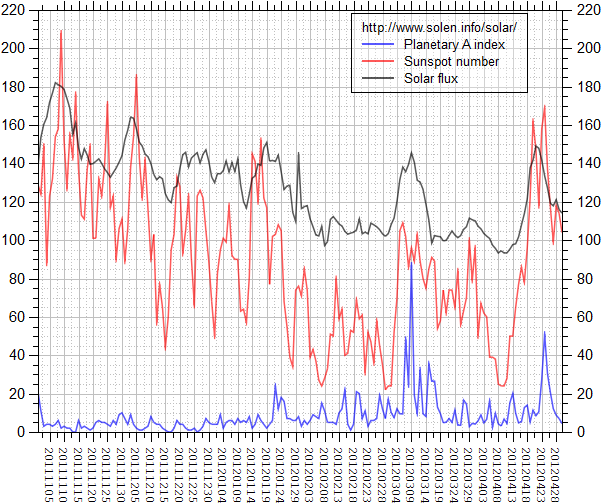 The Potsdam WDC planetary A index was 14 (STAR Ap - based on the mean of three hour interval ap indices: 13.6). 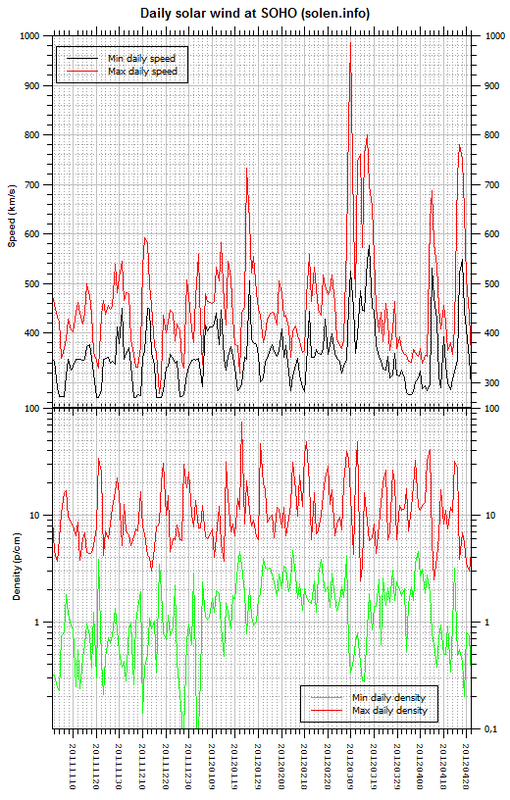 Three hour interval K indices: 34343112 (planetary), 24344212 (Boulder). Region 11450 [N13W62] decayed quickly and quietly. 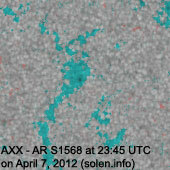 S1568 [S16W28] reemerged with a single small spot. 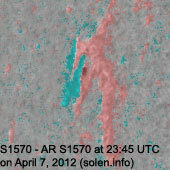 New region S1570 [N10E66] rotated into view at the northeast limb. 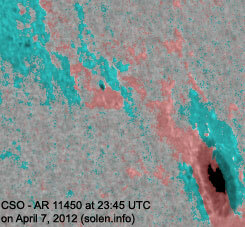 April 6: No obviously Earth directed CMEs were observed in LASCO and STEREO imagery. 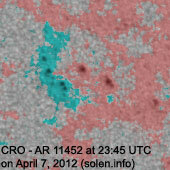 April 5: A CME associated with the C1 LDE in AR 11450 late in the day may have had Earth directed extensions. 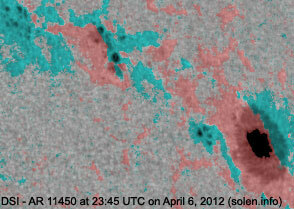 A recurrent trans equatorial coronal hole (CH512) will likely rotate into an Earth facing position on April 9-10. 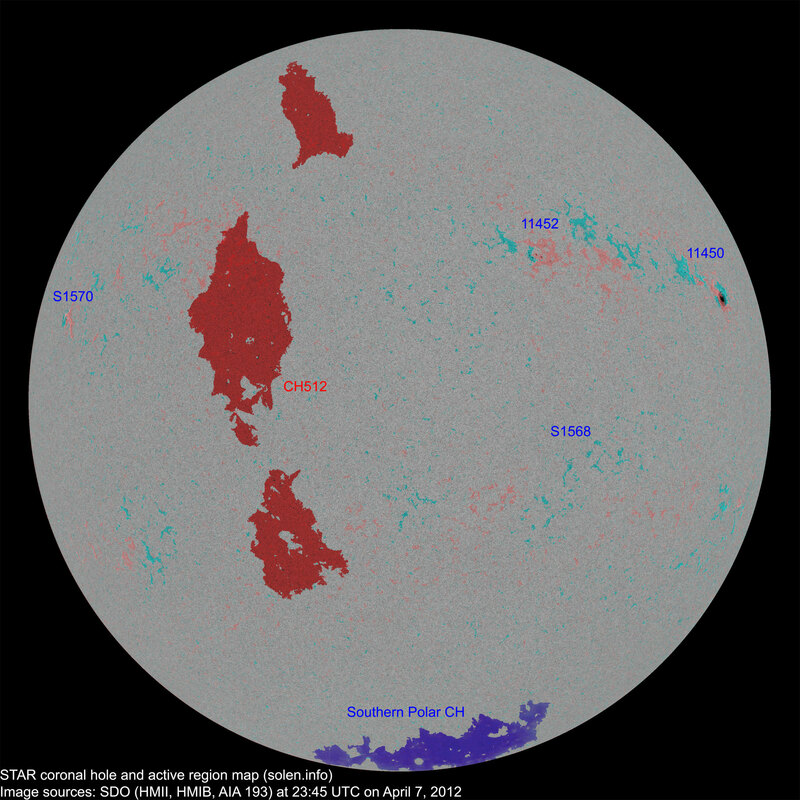 The geomagnetic field is expected to be quiet to unsettled on April 8-10 with a chance of active intervals on April 8-9 if the CME observed on April 5 reaches Earth. A high speed stream associated with CH512 could cause unsettled to minor storm conditions on April 11-12.